your online business when conducting internet searches. Search Engine Optimization (SEO), a fundamental component of website building and digital marketing, has been around long enough that we in the business already look back fondly at the “good old days” of SEO. Once upon a time, getting your website to rank was as simple as cramming enough keywords into a page, a practice that now has the opposite effect. These days, SEO is a complex set of best practices that is constantly being changed and updated, so keeping your website optimized can be a full-time job. Before we go any further, to understand SEO we need to understand how search engines work. Basically, Google, Bing, etc. send robots all around the internet that “crawl” every website they can find. They pull all the data from these sites and, using a very large set of complex algorithms, attempt to identify which ones have the most valuable information for their users. For example, when you type “e-commerce” into Google, it attempts to sort the search results in order of what you are most likely to find useful. The problem with this is that robots are not that good at deciding what is and isn’t useful to humans. The practice of search engine optimization then is to find ways to tell those robots that your website is the one people are looking for. But this comes with a problem as well, which is that even poor or spam websites can still have good SEO, and so Google, etc. have to constantly improve their algorithms in order to filter out the sites that are trying to “trick” them into thinking they’re useful and return only the best possible results for their users. So as search engines get smarter, SEO practices have to get more sophisticated. Let’s have a look at some of the key elements of SEO and how you can use them to increase your online visibility. Keywords: Keywords are the terms or phrases browsers are searching for. Search engines catalog the keywords you’ve incorporated in your website and use them to rank your site appropriately in their results pages. In-bound and out-bound links: Search engines consider how many other websites link to yours, as well as which websites you link to, to measure the legitimacy of your site. The quality of the in-bound and out-bound links will also influence your score. UX: User experience is a broad category of its own which includes ease-of-use, intuitive navigation and quick loading times. Search engines consider how pleasurable it is to use a website when ranking them in their results pages. Bounces: When someone clicks through to a site only to discover that it is not what they were looking for, they will hit “Back” to return to the results page. This is called a “bounce” and it signals to search engines that your site is not what visitors are looking for, so they will rank it lower in future search results. If you haven’t updated your SEO practices in the last year they’re at least partly out of date, but there’s another reason why you need to be constantly tweaking and maintaining your website. Search engines rank websites lower if they appear stagnant – if the content of your website is updated infrequently, it may do damage to your SEO score. The main function of SEO is to leverage keywords. By modifying the structure and content of your website, you can incorporate keywords that are relevant to your products and that your target market is using to search for similar products on the web. However, it’s important to focus on target keywords very specific to your potential audience. Popular search terms are a double-edged sword – avoid common keywords unless they’re definitely favored by your specific audience, otherwise you risk a high bounce rate. Analytics can help you keep it fresh. By keeping a watchful eye on your website analytics you can identify which of your SEO campaigns are performing well and how to deploy your resources most effectively. Pay attention to your bounce rates, paid vs. organic traffic, brand vs. non-brand keyword performance, and long-tail vs. short-tail traffic.Search engines also use analytics to identify the legitimacy of a website. If you can increase the average time your visitors spend on your website, search engines will see that as a vote of confidence that your website is indeed useful to their users. Pages more than three levels deep into your website are rarely going to be seen by a human being, so keep all the important information close to the surface. If users have to click more than twice from your homepage to get to the information they’re looking for, most of the time they will go looking for it somewhere else. Trimming unnecessary pages from your site and eliminating duplicate content can increase your score since both of those are interpreted by search engines as spam. Search engines consider loading times and broken links when ranking sites, so make sure your site is running smoothly at all times. Good customer service never goes out of style – it’s even more important to the overall success of your business than SEO. In the age of social media, a bad review can spread like wildfire and severely impact your ability to reach new customers. Social media is a boon to SEO practitioners for its utility in link building, user-generated content and reputation management. Signals from social media, including the number of followers, community engagement and content sharing tells search engines that your brand and website are valuable to their users. More traditional forms of marketing can be effective as well, such as email marketing, maintaining a local physical presence, and getting your business reviewed by popular blogs and news outlets. We are far from the age of “If you build it they will come”, especially not in the crowded and competitive online retail industry. Search engine optimization is the key to standing out in this market –9 out of 10 consumers use search engines to make purchasing decisions, and SEO is the way to compete for their attention. If you have any further questions about implementing good SEO practices for your website, leave a comment below, and keep visiting the Payza Blog for more tips and tricks to help you get the most out of your e-commerce business. If your dream is to build wealth for the future then it is very important for you to understand finances and how you can make the most of your income. Here are some golden rules that can help you manage your finances in the present as well as the future. Most important rule is to keep track of all your finances and do this regularly. Make it a habit. Do not limit yourself to only accounting for monthly spendings. Also keep track of how you spend, be it cash or credit card and how much money you are left with at the end of the month. Categorize your list of monthly spendings into rent, mortgage, household, groceries, gas, medical, savings and so on. Your projected budget should be fixed each month and should be calculated at the beginning of the month. Based on the knowledge of your spending try to budget out how much income you want to spend in each category. You can also use online tools that are freely available to help you manage your budget. Next track your projected budget versus actual spending. Actual spending is based on your monthly expenditure including insurance payments, mortgages etc. Usually, people set aside 10%-15% of their earnings as savings. Note: While it might be tempting to be ambitious about your savings target during budget preparation, be realistic. Make sure you are financially literate and understand the returns that can be expected from various forms of investments and the associated risks. Invest depending on your risk appetite. It might help to employ the services of an investment adviser. There is a lot of information freely available on the net as well that you can leverage to determine your best investment options. Always remember to set aside some funds for emergencies. Make the effort to determine how much you are worth based on your spendings and earnings (including earnings from the savings you have invested). Even if you do this once a year, it will give you an indication of how soon you can expect to reach the wealth you have set as your goal. In this way, you can track your progress towards your financial goal. It will also help you to set your risk appetite level and adjust your spending habits. Remember a little bit of diligence and discipline can go a long way in your wealth creation journey! To some, it may seem like Bitcoin is a currency cloaked in mystery. Analysts everywhere can’t stop talking about Bitcoin and its meteoric rise. Though fraught with early glitches, Bitcoin is considered to be a success by most. As the first digital currency, bought, sold and traded throughout the world, it’s no surprise that Bitcoin is a major point of discussion whenever one considers the current landscape of cryptocurrency. Payza showed a vote of confidence in the potential for this new currency when we announced a new feature that allowed users to withdraw funds from their Payza accounts and deposit right into their Bitcoin wallet. But many ask today, what the future holds for this brave new currency. And many want to know of any risks that may accompany buying into this digital gold rush. For the uninitiated, Bitcoin is a cryptocurrency free from countries or borders. A decentralized monetary system that retains its value no matter where in the world it’s used. Designed by programmers with incredible foresight and code savvy, this new internet currency is the hotly discussed center of current economic debates. Most recently, Bitcoin made headlines for the disagreement among Bitcoin developers in terms of deciding how the core software should change. There are two vocal camps. The heart of the disagreement has to do with establishing how to manage Bitcoin’s block size. Known only as Satoshi Nakamoto (an alias), the creator of Bitcoin vanished by the end of 2010, leaving a massive power vacuum in his wake. Stepping into the void were very real programmers, each acting as a figurehead for the currency and its growth. Ironically, this has proven to be a problem for those who came to Bitcoin for its lack of “human involvement.” For many, Bitcoin represents a massive investment in an emerging currency, and their potential loss of would be catastrophic. Hard currency relies on dozens of factors to dictate its worth, but Bitcoin being entirely virtual means that the strength of its value lies in the hands of these few programmers. Though the power to manipulate the value of the currency is ever-present, Bitcoin programmers limit themselves to action when only absolutely necessary. As analysts have stated, Bitcoin cannot afford to alter its programming too much at this point. Doing so could fracture the entire ecosystem, and bring what has been so carefully constructed crashing down. With precision and the utmost care, Bitcoin’s masters have adhered to the strictest of codes to keep their cryptocurrency as financially stable as possible. Though not as widely popularized as Bitcoin, smaller companies have been testing their own forms of cryptocurrency dubbed Altcoins. Though these attempts to cash in on the success of Bitcoin have never measured up, the reality of cryptocurrencies are very real. While still in its infancy, Bitcoin has shown promise in its widespread acceptance with the digital community. Though still in need of the occasional helping hand, we may live to see the day where an autonomous cryptocurrency becomes equally accepted as paper money. 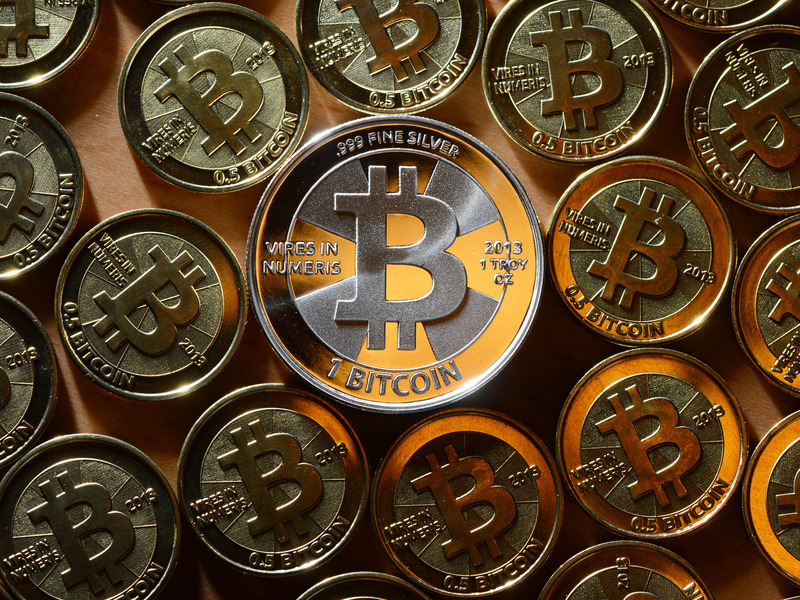 A bold experiment now worth over $4 billion, Bitcoin is putting the money where its mouth is. Sometimes paychecks can just fall short of crucial bill due dates. One option to get money quickly is a payday loan, but these should be approached carefully. Here you will find advice on how to use a payday loan to your benefit. If you’re considering applying for a payday loan, it’s important that you know when the loan term ends. The interest rate associated with a payday loan is high which can result in significant costs if not paid back promptly. Be aware of the fees that come with a payday loan. While the money may be great in hand, avoiding dealing with the fees can result in a substantial burden. You need to have in writing what you will be paying. Make sure you find out that information before you sign anything. Payday lenders utilize a number of techniques to evade usury regulations meant to protect the consumer. They tack on hidden fees which are perfectly legal. You might pay up to ten times the amount of a traditional interest rate. Make sure to consider every option. Compare payday loans to personal loans so you can get the best rates. Your credit rating and the amount you need will affect your rate. You can save money by doing your research. Payday loans are only for emergency situations. When you take out a loan, you may never get back on your feet. Interest costs and late fee penalties will increase dramatically if your loan isn’t paid back on time. Do not get into debt that you cannot afford. Make sure you are not taking out a payday loan in order to pay another one off. It is essential to break free of the routine, even if doing so requires sacrifices. You will find that you can easily get stuck in this cycle if you do not do something to put a stop to it. A cycle like that can rack up a huge debt in just a little time. When you get a payday loan, do not borrow more money than you are able to afford. They’ll provide you offers of larger sums, but don’t give in to temptation. Beware of marketers that are paid a commission to bring in borrowers to lenders. Businesses that operate in foreign countries are not subject to the same laws and penalties for taking advantage of customers. You may get into a contract that you can’t get out of. Developing a good history with a payday lender can be to your advantage. Doing so lets you get the money you need when you have to take out another loan. Be certain to choose a good payday lender and stay loyal to that lender. Try to find out what state the lender is based in. There are lending caps, but they vary from state to state. Avoid doing business with lenders that are out of the country and are not required to operate under the same standards as a company based within the country. When you find out what state they are based in, find out the laws there. People shouldn’t depend on payday advance loans in order to make it, but they are helpful when urgent bills are due. Use a payday loan only occasionally and wisely so you don’t run into any kind of problems. Keep these concepts in mind whenever money gets tight. A financial emergency can have you looking at any option for cash to solve the problem. You have no doubt seen advertisements suggesting you get a payday loan. You need to determine if this option is the best choice for you. These loan companies may be able to help you, but you need to be very cautious. The following advice will help you understand payday loans and use them effectively. If you find yourself in a situation where you need a payday loan, know that interest for these kinds of loans is very high. It might be more than 2 times what the loan was worth. These lenders use holes in usury laws in order to bypass the limits that are placed. When getting a payday loan, keep in mind that you can’t count on your next paycheck being available to you. The money that you borrow from a payday loan will have to be enough until your second paycheck because the first one you receive will be used to pay back your payday loan. Not realizing this can start a recurring cycle of debt that could last a long while. When times are tough, sometimes the only option is a payday loan. It’s important to make sure that you have no other options before taking out a loan, though. Try asking a close friend or family member before taking out a payday loan. Do some research about payday loan companies. Avoid making a choice based of a television or radio commercial. Take the time to research them as much as you can online. Look for testimonials of each company before allowing the companies access to your personal information. Going through the payday loan process will be a lot easier whenever you’re dealing with a honest and dependable company. There are many fees that you should be aware of before taking a payday loan. It is important to know the full cost of the loan before taking it out. Lots of laws exist to protect individuals from predatory interest rates. Excessive fess may be charged to get around the legislation that is in place. This ends up increasing the overall cost of the loan. This should help you figure out if getting a loan is an absolute necessity. Explore all your choices. Don’t discount a small personal loan, as these can often be obtained at a much better interest rate than those offered by a payday loan. This will depend on your credit history and how much money you want to borrow. You can save money by doing your research. How much you’ll get from any payday loan is influenced by many factors. This will be determined by your income. Lenders usually calculate how much you earn and then set a max amount that you can qualify for. Before getting a payday loan, you have to understand this fact. Your financial emergency might end sooner with a payday loan. However, before taking out a payday loan you must understand all of the details that are involved. The insights here can go a long way toward helping you see things clearly and make decisions that affect your life in a positive way. Everyone needs some help at sometime in their lives. If you’re feeling constricted financially, and that you’re in need of extra money, try to consider getting payday loans. Surprisingly, payday loans can be a great thing to invest in. You can learn more about the ins and outs of payday loans by reading on. Checking with the BBB (Better Business Bureau) is smart step to take before you commit to a payday loan or cash advance. You will find out information about the company, including any history of customer complaints. Never lie on your payday loan application. Although you may be tempted to do this so that you can be approved for a large amount, putting knowingly false information on your application is fraud, which can result in a criminal prosecution. If you live an area where no payday loan companies operate locally, look online for reputable companies that will work with you long distance. Sometimes, you can actually cross into another state where payday loans are legal and get a bridge loan there. Since funds are electronically recovered, you should not need to make more than one trip. If you need to take out a payday loan, get the smallest amount you can. A lot of people experience emergencies in which they need extra money, but interests associated to payday loans could be a lot higher than if you got a loan from a bank. Keep your costs down by borrowing less. One tip that you should keep in mind when thinking of getting a loan is to locate a lender that’s willing to work things out with you if there is some kind of problem that arises for you financially. Some lenders will give you an added extension if you are unable to pay back the loan on time. Take the lessons offered by payday loans. If you’ve experienced the high interest and fees of a payday loan, you’re probably angry and feel ripped off. You can use these feelings to motivate yourself to start an emergency savings account, and borrow from yourself next time! Always look at a payday loan as your last option. Even if you are getting cash advances with a credit card, you will save money over a payday loan. Speak with your loved ones and ask for assistance. If you are thinking about a payday loan, do as much comparison shopping as you can. There are plenty of payday loan agents out there that have varying costs. You’ll find that some sites offer better deals than others. You should not move forward without investing some research time. Look into any payday lender before taking another step. Never sign on to a loan until you understand all of the terms to which you are agreeing. Get as much information about the lender so that you do not have an unpleasant surprise. Now that you know what is involved with getting payday loans, you will now be more confident when getting one. Many people think payday loans are scary and want to avoid them at all costs. With proper planning and usage, payday loans may be helpful and take away any fears related to hurting your credit. If you are stuck in a jam and need money quickly, taking out a payday loan could be the answer to your problems. Even though payday loans are useful, if you don’t know enough about them, they could put you in a bad situation. The advice in this article will protect you from making any mistakes when you take out a payday loan. When you take out a payday loan, you might as well kiss your next paycheck good-bye. The money you received from the loan will have to be enough until the following paycheck since your first check should go to repaying your loan. If you’re not able to figure this out then you may be forced to continually get loans which could last for a while. There are a lot of payday loan agencies in existence. If you are considering a payday loan, do some research first, and look for a company with a good reputation. In particular, look through customer reviews. Just check the Internet to find out about each firm. Always research first. This will help you to compare different lenders, different rates, and other important aspects of the process. The more lenders you look at, the more likely you are to find a legitimate lender with a fair rate. Although this could be time consuming, you will probably end up saving tons of money. It may be possible to find an online resource that will compile information on several companies for easy comparison. Question everything about the agreement and conditions. Lots of these companies can rightly be called predatory. These companies make money by providing terrible borrowers with loans that they know won’t be paid back. Although these companies make promises, they usually have loop holes to get around them. Only work with a payday lender that has the ability to do an instant loan approval. In the current world of technology, they should be able to approve you quickly. If not, their business may be behind the times, and you may want to find an alternative choice. Before you resort to taking out a payday loan, you should make sure that there are no other places where you can get the money that you need. Credit card cash advances carry lower interest rates than payday loans. Talk to your family and friends and ask them if you could get help from them as well. Make sure you are aware of any automatic rollover type payment setups on your account. Some lenders who provide payday loans will arrange to renew your loan and take fees and penalties out of your account entirely automically. Many of these require no action from you other than the initial set up. If you fall for one of these scams, you could end up spending thousands of dollars on fees. Be aware of the process you are getting involved with. Payday loans can be great for getting you quick cash in an emergency situation. The downside to payday loans is that the terms of the loan are often not ideal. Use the advice and information in the article below to get a payday loan with as little pain as possible. Do not fear payday loans. A lot of people are afraid of payday loans because they do not understand what payday loans are all about. When you have this fear, allay it by continuing to read this article. Payday lenders utilize all kinds of methods to get around interest rate laws that are meant for protecting consumers. Rather than charging high interest, they will tack on fees to the loan to make up the difference. As a result, the interest rate for a payday loan might be astronomical. Make sure you educate yourself on all the companies first before doing business with them. Never rely on lenders who appear to be trustworthy. Look online for information about the company, especially testimonials from their customers, before you take a loan out from them Stick to a reputable company which will give you some peace of mind. Look around for the lowest interest rates. Besides local lenders operating out of traditional offices, you can secure a payday loan on the Internet, too. They all try to give you the best rates. Some lenders give out significant discounts when it comes to first time borrowers. Do your research and compare lenders before you decide on one. A great thing to remember when applying for payday loans is that you always need to be aware of the interest rates. Never sign anything until you fully understand the terms. Payday loan companies that don’t give you all the information up front should be avoided as they are possible scams. If you are considering applying for a payday loan, watch out for fly-by-night operations and other fraudsters. There are those who pose as payday lenders only to rip you off. Be sure to use the BBB online to find out if a company is legitimate. Be sure you give payday loan companies correct information. Provide the right income documentation, including pay stubs. Also be sure to supply the correct phone number where you can be reached at. By giving out false information, or not including required information, you may have a longer wait before getting your loan. It is important to only use payday loan services if it is necessary. Once you take out one loan, you may get into a situation where you have to keep borrowing money just to keep your head above water. Your pay will be reduced, and the company will entice you to not pay it back until you get to a point, where you cannot pay it back. Although you might be at the loan officer’s mercy, do not be afraid to ask questions. If you feel you are not getting a good payday loan deal, ask to speak with a supervisor. Most businesses are usually open to giving up a bit of their profit margins in order to make money. With luck, the ideas and information presented here are indicating to you whether you’re going to take out a payday loan or not. It’s important to consider everything you have learned here and never disregard any piece of information. It is best to learn as much information as possible before deciding to get a payday loan, because there may be more information to consider.